Here's the latest national map of the big winter storm. The action is over out west but sitting on top of Minnesota now. I went to sleep to the sound of snowplows last night. 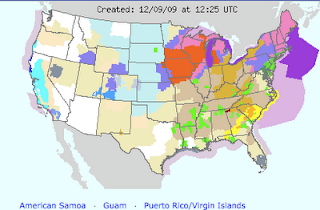 Here is the local "weather story" graphic from the NOAA. 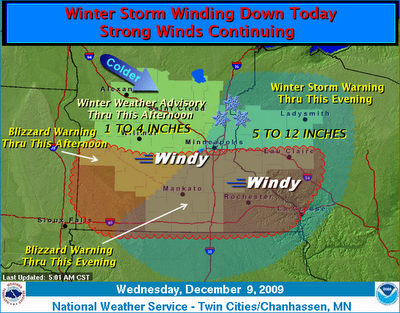 The blizzard area has increased since yesterday It includes parts of the Twin Cities Metro. The north-south divide seems to be Interstate 94 which is probably a bit arbitrary. The main difference is wind that will cause drifting snow and near zero visibility in the red areas. The predictability of what is yet to come seems in question. The winter storm warning area to the right said 7-12 inches yesterday and now says 5-12.